Seriously, despite the sarcastic title, this is good news for Pitt. I've long been a kicker and screamer when it came to not being able to see every Pitt game. And now with the 'Pitt Network', it looks like that problem is solved. Well, at least if you have Comcast. If you have FIOS like me, you're out of luck. Pederson said other schools in the Big East Conference such as Connecticut and Syracuse have announced similar initiatives, and that it is seemingly the way many athletic departments are headed. To start, this isn't a full-blown network. From what I understand, it won't be 24/7 coverage like an actual television station. 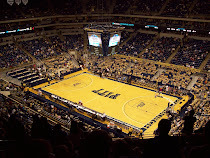 But it will have regular coverage of basketball games and other Pitt stuff. 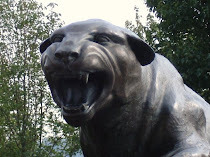 And by the way, this is really an extension of something Pitt has done in the past. They've used the channel 188/210 before to televise games that otherwise couldn't be seen. It just wasn't on a regular basis. It looks like this will cover any non-televised basketball game as well as things like pre- and post-game shows, press conferences, etc. “What we’re trying to do is look at where we are right now,” Pederson said. “Things like that, like a (Big East) network, are a number of years away. “We have a great partner in Comcast. We have fans who love content. We’re going to go ahead and push forward as an institution, everything that we can find to put on the air for our fans. This is additive program that we haven’t been able to bring our fans before, and we’re very excited about that." Stuff like this Pitt network are great for fans, but as far as putting actual dollars into Pitt's pockets, I think it probably does very little. A Big East network, something I've pushed for a great deal, is really what needs to be done if the Big East wants to have a more secure future. And soon.